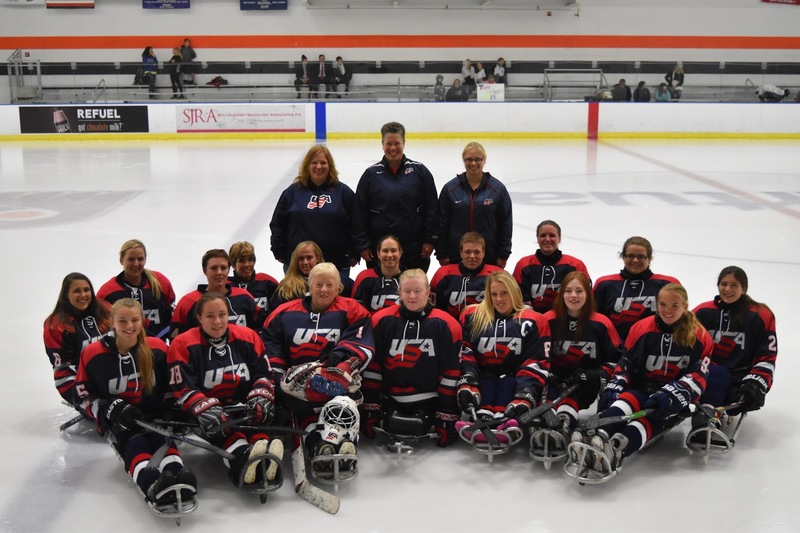 mobileWOMEN.org: In Love...with Sled Hockey! Growing up in Turner, Maine, playing sports was a big part of my childhood. 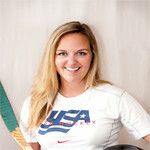 I loved dance, field hockey, kayaking, skiing, biking, softball, and track. 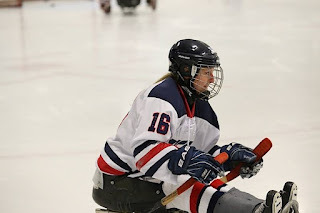 I became paralyzed with an SCI (spinal cord injury) in a 2006 skiing accident and became a wheelchair user, but I continued to have an effervescent spirit for staying active. The Shepherd Center, the SCI rehabilitation hospital that I attended in Atlanta, Georgia, was where I was introduced to adaptive sports. I remember the recreation therapists who helped me get into a kayak in the pool, on a four-wheeler and wheelchair fencing after being paralyzed for only a few months. I was so excited. I had warm tears trailing down my cheeks after each encounter in pure glee, knowing that I could still participate in activities that I thoroughly enjoyed. After missing one semester, I went back to college in the fall of 2006 at the University of New Hampshire, which had a recreational program for people with disabilities. 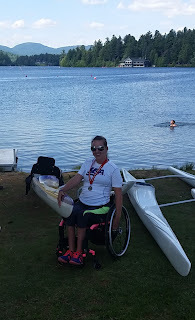 I participated in multiple programs including sports I did previously, such as kayaking and learning how to hand cycle and adaptive water skiing. I thoroughly enjoyed recreational sports and continued with them throughout college. I graduated college and went on for my Masters degree. I became an adjunct professor at Southern Maine Community College in 2010 and got involved with Maine Adaptive. I became a disabled advocate, Ms. Wheelchair Maine 2011 and, still, something was missing. I became depressed and needed to find an outlet. In the summer of 2013, I was a volunteer coach for both the hand cycling and kayaking programs, logging multiple 10-15 miles trips. I was river kayaking on a beautiful, clear day with Maine Adaptive and, with the help of a few of the members, I decided to get into competitive sports. 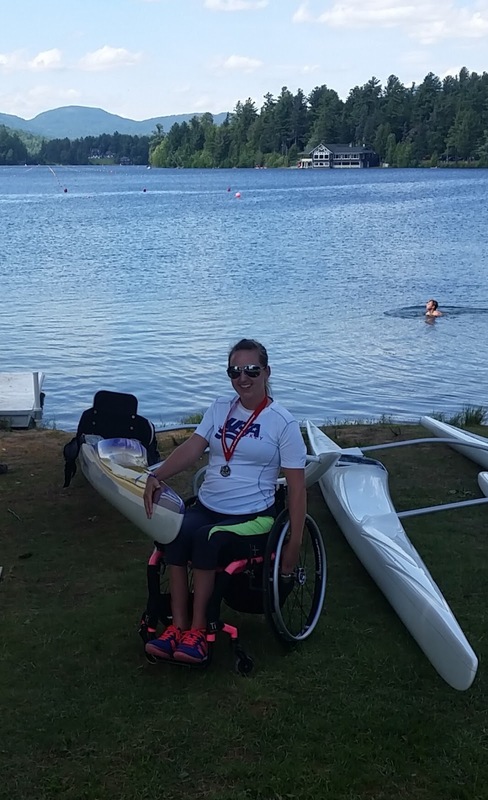 I left for Florida in October 2013 to practice to be on the Paracanoe USA team, receiving the silver in the 2014 Lake Placid International Regatta. Sled (or sledge) hockey is played in a sled with two blades underneath the bucket where the athlete transfers into the seat and the legs are securely protected. The athlete uses two hockey sticks with blades on one end and a set of picks on the other end to dig into the ice for propulsion. On both the men’s and women’s teams, it is a full contact sport and has the same rules as upright hockey. There is an additional penalty that is called t-boning when the front of the sled comes in contact with an opposing player’s bucket. 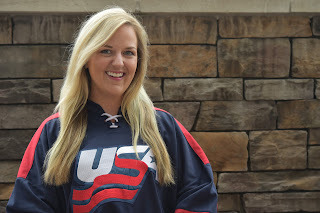 I fell in love with sled hockey and I am finally able to love myself, in my new form, as an athlete and as a woman, just as I am. For more about Florida Sled hockey, visit www.floridasledhockey.com. 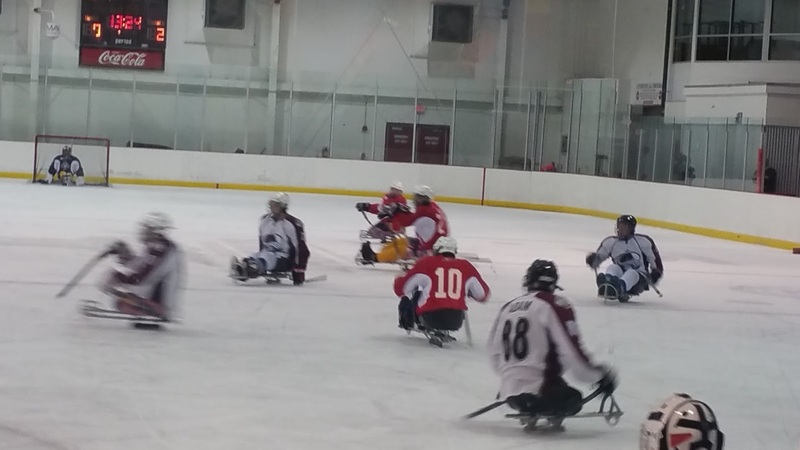 To watch sled hockey in action from the recent 2015 Ice Hockey Sled Classic, check out this video: http://video.panthers.nhl.com/videocenter/console?id=720451.